Home of the late Livingston and Kean families, the Liberty Hall Museum shares their stories. Built in 1772, Liberty Hall Museum is a national historic landmark located here at Kean University. It is situated adjacent to the New Jersey Center for Science, Technology and Mathematics (STEM) building on the Union Campus. Originally a 14-room Georgian style house, it has transformed into a 50-room Victorian style mansion. 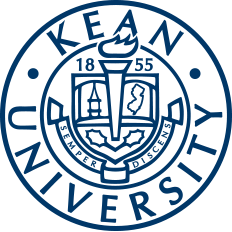 Today, Kean students can enjoy the many amenities it has to offer, including special events, free tours and the history that the Livingston and Kean families have left behind. The property where the Liberty Hall Museum stands today was bought by William Livingston in 1760. It was his family’s second home, and he spent 12 years building the grounds. In 1773, Livingston and his wife, Susannah French, moved there with their children full-time. Between 1774 and 1776, Livingston began serving as a member of the First and Second Continental congress, and ultimately became New Jersey’s first elected governor. In 1811, the property was purchased by Peter Kean, whose mother, Susan Livingston Kean Niemcewicz, was Governor Livingston’s niece. Her husband was John Kean, a merchant from Charleston, South Carolina, and a member of the Second Continental Congress. Additionally, President George Washington appointed him the first cashier of the Bank of the United States. Unfortunately, John Kean died in 1795, and Susan married Count Julian Ursin Niemcewicz who was a polish nobleman. He had to return back to Poland in 1809. She renamed the estate Ursino in honor of him and became head of the household after her son Peter died. The estate was then inherited by Susan’s grandson Colonel John Kean, who later served in the House of representatives and the Senate. He is responsible for transforming the house into the 50-room mansion that stands today. The house was eventually passed down to Captain John Kean, who married Mary Alice Barney in 1925. She was very interested in art and American History. After John Kean died in 1949, she began turning the house into a museum. In 1973, she restored the name to Liberty Hall as it was declared a national historic landmark. 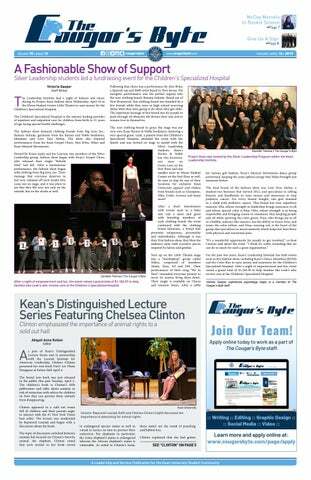 As one can see, a lot of history transpired on the grounds of Liberty Hall over the past few hundred years, which is why it is important to Kean and the community overall. Director of Museum Operations at Liberty Hall Museum William Schroh emphasizes that not many students are aware that this museum is firstly located on Kean property, but also that tours are free for students. One can have the opportunity to become completely immersed in the culture of American history at no additional cost. One of the many historic sightings located on the Liberty Hall Museum property. When asked about Liberty Hall’s mission, Schroh said, “It is to create a self-sufficient historic center designed around liberty hall, providing a unique experience that is educational first, because that is really our mission." Liberty Hall has many events coming up to celebrate the upcoming holidays. For example, they are currently hosting Ghost Tours and pumpkin carving events for fall. Additionally, for the holiday season they have events such as A Storybook Christmas, Holiday Afternoon Tea, Gingerbread House Workshops for adults and children, and Breakfast with Santa. The Liberty Hall Museum offers special events for holidays. To learn more about the Liberty Hall Museum and their events, visit the Liberty Hall website, email libertyhall@kean.edu, or call (908) 527-0400.